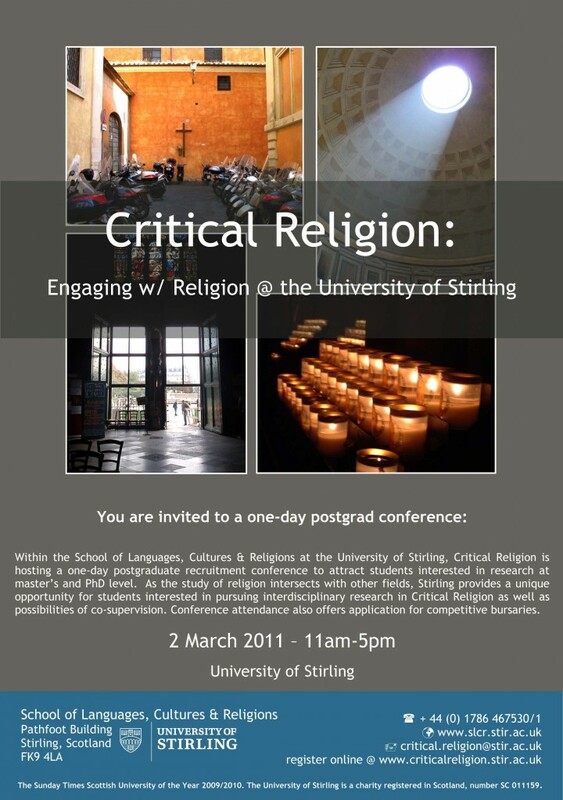 The first event by the Critical Religion Research Group was a day conference organised for potential postgraduate students on 2. March 2011. By Michael Marten in Critical Religion on 7 March 2012 .